The rites of passage, the flow of tributes for Dr. Alex Ekwueme, Nigeria’s Second Republic Vice President, have begun. This is a fitting tribute to tradition and whatever last honour is given to this man is amply deserved. In public and private life, Ekwueme was level headed and even handed. He was a decent man, a very decent man. 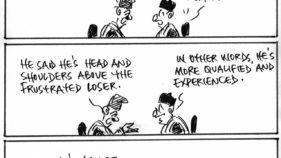 And in a country with a severe shortage of decent people in politics he stands out like an Iroko tree. But it is debatable whether a conflict-ridden profession like politics can have a moderating influence on human behaviour. It is decent people who can make politics decent not the other way round. 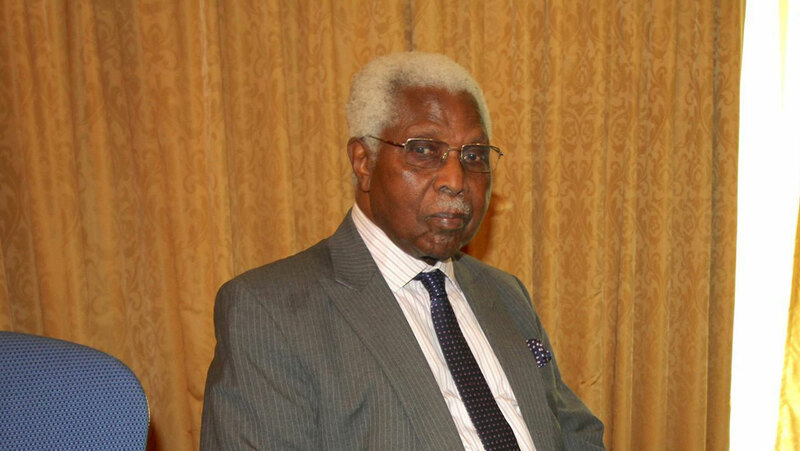 Ekwueme had five degrees in various fields: architecture, history, politics and law. This shows that he had an unquenchable thirst for knowledge, he was a voracious reader and someone who wanted to uncover the hidden secrets within book covers. He got a Ph.D, evidence of vertical knowledge. The fields of his knowledge acquisition were several, evidence of horizontal knowledge. With the adroit combination of vertical and horizontal knowledge Ekwueme became a thinker on a massive scale. But he never had the chance, as a chief executive at the state or federal level, to implement his ideas because he never got there. He never became Governor of a State or President of Nigeria. But as the Chief Executive of his architectural firm he made a success of his job and made a bundle as well. Ekwueme was much more educated than most Nigerians and even more educated than most Nigerian politicians. In spite of this he did not wear the coat of pedanticism or pedagogy. He was not standoffish, he was just like the guy next door, a normal educated person of worth, in his sophisticated environment in Ikoyi or in Anambra or anywhere else. He did not have any trace of superiority complex. He was the leader of G34 which he founded with like-minded colleagues who were worried about the future of Nigeria. This was at a time that the military boys had sunk their boots into the soil of Nigeria and were not ready to return to the barracks and give the country another chance at democratic engineering. This was not a time for the faint-hearted but one for the stout-hearted. He showed courage, exemplary courage, courage without rashness. He measured his words meticulously; he filtered them with the finest filter he could find because he knew that words could wound like a knife. Even as a partisan politician he used words to achieve noble and not ignoble ends. He was a truly decent man. He was not a reckless apostle of territoriality but he was more of a universalist. He believed in the time-honoured qualities of fairness and equity as a building bandage for a nation-state that comprised many nations. These universalist qualities did not deprive him of his Igbo-ness. He spoke Igbo fluently and was not shy of speaking it when he needed to. He wore Igbo traditional dresses with lions engraved on them but he was not a lion himself. He was not a lamb either. He worried about the place of Ndigbo in the sun and the place of Nigeria in the larger sun. His exertions were aimed at shoring up both the fortune of the Igbos and Nigeria. He appeared at different fora, making informed and well-reasoned arguments on what he believed should be Nigeria’s path to a great future. He had been a strong exponent of restructuring Nigeria before it gained current currency. In that respect you can say that he was ahead of his time, a Cassandra, a prophet who would not be believed. When Ekwueme was the Vice President to President Shehu Shagari he was known to be a loyal deputy, one who would not stab his boss at the back under any circumstance. He was faithful to the President and faithful to propriety. He was a deep middle-roader, neither a radical of the left nor of the right. His steady hand and head helped a government that had within its fold, many hawks such as Uba Ahmed, Chuba Okadigbo and Umaru Dikko, to mention but a few. But that government was perceived by the public as something closer to contractocracy than democracy. 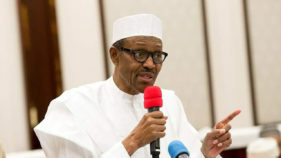 When it was overthrown on December 31, 1983 by Major General Muhammadu Buhari and his co-conspirators many people did not have many reasons to shed tears. But little did they realize that worse things were awaiting this beleaguered country in subsequent years. On the day of the coup of 1983 Col Ibrahim Babangida had gone to share an evening with Ekwueme. Ekwueme did not have an inkling that the mission of the tooth-gapped soldier was to ensure that he was available to be picked up by the coupists. A couple of hours later Babangida led a group of soldiers to the Vice-President’s official residence and took away the man who had been a genial host to him a few hours earlier. Coup plotting is a suicide mission, your life or the other person’s life. Those who are involved in this dangerous game have no appetite for niceties, propriety or even fairness. In that moment of intoxication they do their jobs only as the spirit of coup plotting directs them. They put President Shagari under house arrest and dumped Vice President Ekwueme at Kirikiri prison. Nothing reasonable could be advanced for the discriminatory treatment but Ekwueme had no choice but to stay where they had put him. He reckoned that it could possibly have been worse because in coup matters reason and logic hardly sit in the front row. Ekwueme contested the PDP primaries in 1998 for the presidential ticket. His main opponent was Chief Olusegun Obasanjo who had just been pardoned by the Abdulsalami Abubakar government and released from prison where General Sani Abacha then head of state had deposited him for alleged coup plotting. He, Babangida, T. Y. Danjuma, Aliyu Mohammed and a few others probably thought the best way to kill the June 12 episode dead was to choose a Yoruba man as the next president. That way the Yorubas whose son M. K. O. Abiola had been denied the presidential trophy after he won the election would be appeased. Obasanjo was good for the role: he was Yoruba, he was a former head of state and he was a firm believer in one United Nigeria. So with such a huge gathering of godfathers assembled in Obasanjo’s corner Ekwueme had a difficult road to travel. He was eminently qualified too: very well educated, former Vice President in a civilian administration, an Igbo who if elected would bring the Biafran issue to finality. But he was not Yoruba. Besides, he was in a government that was over thrown by these godfathers. Would there have been something lurking in the inner recesses of their mind that President Ekwueme would come at them in revenge for what they did to him in December 1983 and thereafter? I do not know. Nigerian politics by its brutal nature, obeys no rules except those contrived by the godfathers. Ekwueme gave the project his best shot but he came short of the trophy. In politics, you have to bring down every obstacle on your path. Ekwueme was in no position to achieve that feat. His problem seems to be that he was always in search of political correctness in a partisan profession: politics. In politics, the end justifies the means. It is not only Machiavellian but it is in tune with political expediency. The best tribute that can be paid to him is that he was not a desperate politician. Desperate politicians are dangerous to every society because they tend to tear down the fabric of society in the attempt to satisfy their greed for power. Ekwueme does not belong here. He remained, till the very end, an epitome of decency. Ndigbo have the admirable ability to abide their heroes. Emeka Odumegwu-Ojukwu, for example. The emergence of MASSOB and IPOB is not necessarily a brand new fight for self-determination by the Igbos. It is an attempt to bring to a possible conclusion the narrative that Ojukwu could not bring to a happy ending. That is also why APGA, a party founded by Ojukwu, still thrives in Anambra today despite the view by some Igbo intelligentsia that Ojukwu did more harm than good to the Igbo cause. Ndigbo have enormous respect for Ekwueme even though some of them accuse him of not going all the way in fighting the Igbo cause. He was not the type of man who would want to be seen as an Igbo irredentist despite his Igboness. They see that as his failing. I don’t think so but what I think does not matter since I am not Igbo. I believe he wanted a bigger canvass on which to paint. The presidency seemed in 1998 to be within grabbing distance. He did not and could not grab it, so we missed the opportunity to know what sort of leader he would have been. But he grew steadily over the years into the pantheon of statesmen. He worried about the fate and future of Nigeria. At his 80th birthday a few years ago he said: “We have not realised our pre-independence dreams and aspirations. No one present when the Union Jack was lowered in 1960 would be happy with the present level of development in Nigeria… expectation was high that Nigeria would be one of the greatest countries in Africa and the world but the dreams and expectation have not been realized.” Truthful but measured words. His words defined him as a refined gentleman who was in the wrong profession. But politics and governance are too important to be left to career politicians only. Decent men like Ekwueme may not have made a significant difference to the quality of politicking and governance in our country but he lighted a candle. If we choose, we can find the way to a more purposeful, development-driven, rule-of-law respecting management of our polity. That would be part of the legacy of this decent man, the essential Ekwueme.